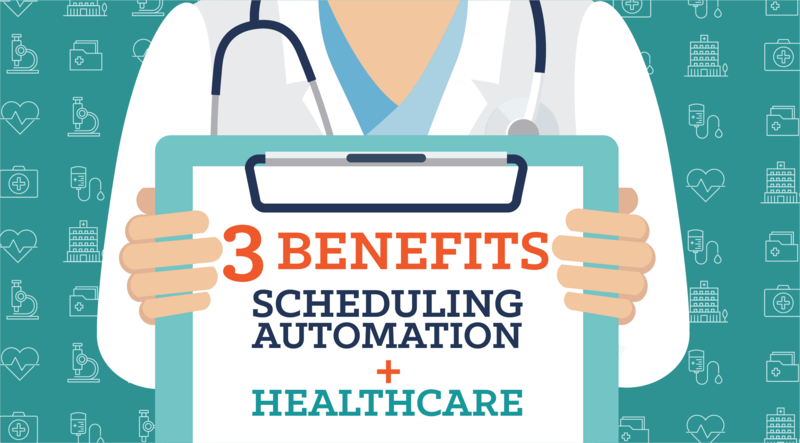 Employee scheduling automation has revolutionized the way businesses schedule their hourly workforce. More and more, companies are trading in their sticky notes and whiteboards for tech tools that can handle all of their scheduling needs. 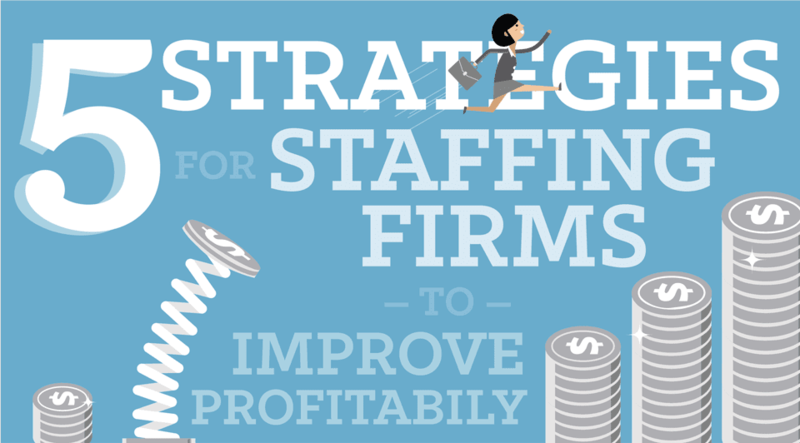 By improving their scheduling practices they have unlocked unknown revenue and boosted their bottom line. However, we have found that companies may be leaving money on the table by ignoring the indispensable sidekick to any successful scheduling pursuit, great internal communication. When David Grossman surveyed 400 companies with 100,000+ employees on the cost of inadequate internal communication, he found that the average loss per company was $62.4 million per year. Follow-up surveys have found that even smaller companies with only 100 employees lose an average of $420,000 per year due to poor internal communication. Poor communication causes employees to disengage with the company. 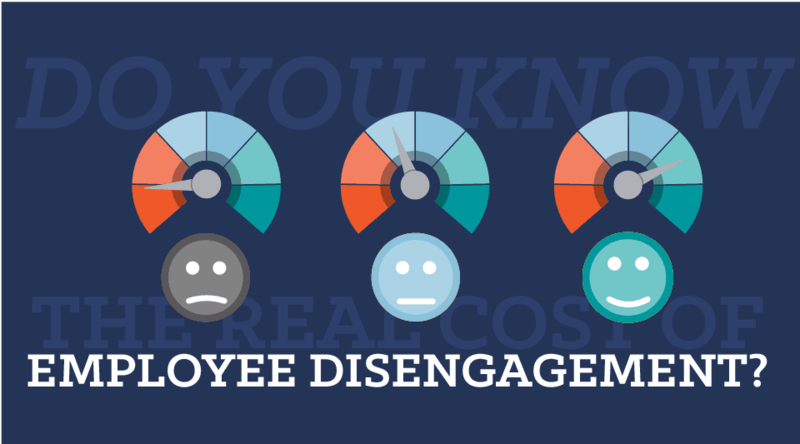 Disengagement can lead to lower productivity, increased error rates, lower employee satisfaction, more workplace injuries and even theft. Once employee engagement is at risk, companies face huge expenses trying to overcome absenteeism and turnover. Poor communication between the employer and employee can lead to a waterfall of costly consequences. Time and time again, we’re presented with dazzling examples of our most beloved heroes banking on their trusty sidekicks to save the day. Robin is always ready to swoop in to rescue Batman. R2-D2 wastes no time covering Luke in the heat of battle. Even Jerry needs to rely on George Costanza from time-to-time. Scheduling automation is equally reliant on communication. While scheduling automation does a lot of the heavy lifting, workforce communication liberates workers to engage with schedulers to create a positive scheduling experience. 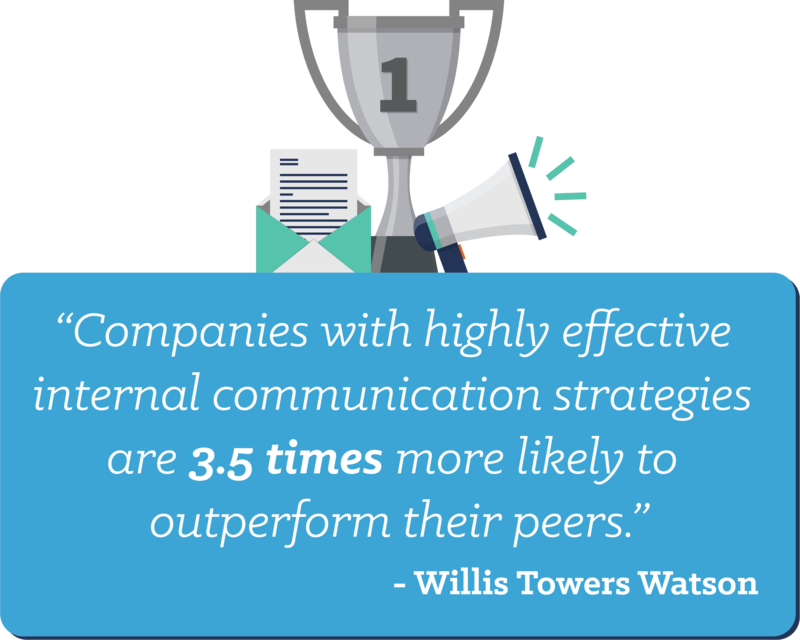 According to a top communication ROI study, companies with highly effective internal communication strategies are 3.5 times more likely to outperform their peers. Consistent communication boosts employee engagement. According to Gallup, consistent communication, whether it occurs in person, over the phone or electronically, is connected to higher engagement. Through communication, companies can improve the number of employees that feel involved, enthusiastic and committed to their work. While a recent Gallup survey found that only 32.9% of U.S. employees felt “engaged” in the workplace, establishing good communication is one of the best ways to amplify employee engagement. Improving communication to better employee engagement can lead to bottom-line benefits. Best Buy found that higher employee engagement scores resulted in better store performance. The company found that for every percentage point it boosted employee engagement, individual stores saw a $100,000 increase in operating income annually. Business units with high employee engagement have 28% less internal theft or shrinkage and 21% higher productivity than their bottom-quartile counterparts. Higher workplace engagement leads to other positive outcomes, including lower absenteeism (37%), fewer patient safety incidents (41%) and fewer quality defects (41%). Interested in learning more about how communication affects employee engagement? Check out our guide to strategic communication for employee engagement. 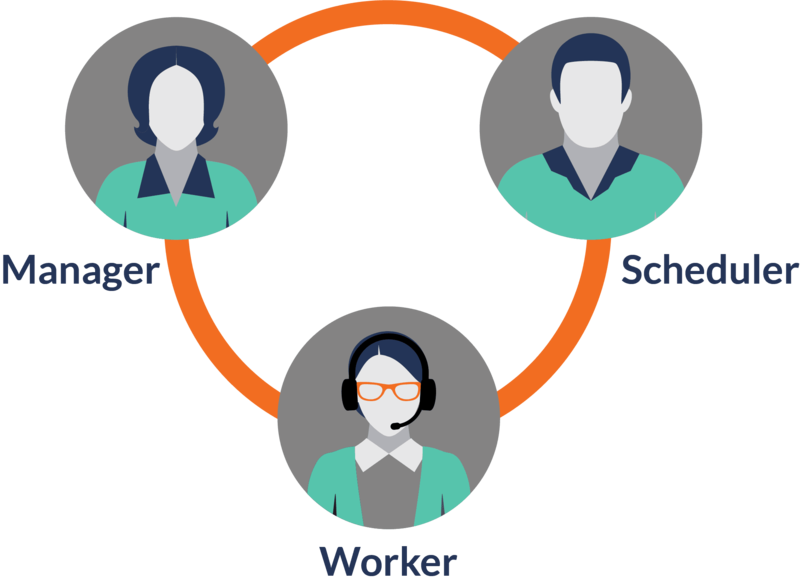 Communication around scheduling improves the efficiency of the scheduler while increasing worker satisfaction. We believe communication is the unsung hero of scheduling automation. Using our years of cross-industry experience, we suggest following these six rules when communicating with your workforce. Rule #1: Connect communication closely to your process. Communication from the scheduler to the employee should be specific, purposeful and in alignment with your scheduling processes. Outreach that reinforces your scheduling processes helps employees understand what is expected of them and how to communicate back to the scheduler. While this may seem basic, it is critical to get right. Rule #2: Enable employees to self-serve. Many times, the biggest barrier to communication is poor timing. Communicating critical details to a preoccupied employee may result in miscommunication or “in-one-ear-out-the-other” syndrome. By facilitating an access point to important shift information, shift workers can consume information when they are ready for it. This type of communication frees up reliance on the scheduler, lowers error rates and empowers the employee to seek needed information on their own. Rule #3: Communications needs to be timely and targeted. The most useful messages deliver information as close to the moment of need as possible. A shift reminder, delivered to all employees, a month in advanced, is easily ignored and forgotten by the time the shift is relevant. Instead of painting with a broad brush, timely communication that targets only those affected is the best way to ensure workers hear your message and take action on any necessary instructions. Good communication helps employees understand when and where information is available. Establishing predictable communication helps employees find the information they need when they need it. Establish communication templates and standardize on a regular cadence to help employees develop a routine around consuming important information. Rule #5: Communication should be two ways. The most efficient communication acknowledges when the message has been heard. If a scheduler assigns a worker a shift, the worker must have a way to acknowledge the assignment. When a worker wants to trade a shift with a fellow coworker, there must be feedback when the shift is properly traded. If a worker asks for time off, there must be a method for notifying the worker the status of their time-off request. These examples are merely the tip of the iceberg to establishing a healthy two-way conversation between the scheduler and their workforce. Rule #6: Communication should not be limited to one approach. Worker surveys show that 85% of employees use more than one device to communicate at work, with 32% of those using three or more devices. It is clear, for communication to be successful, schedulers must adapt to the tools and devices of their employees. Establishing a healthy communication rhythm around your scheduling processes help increase employee engagement while also easing the inherent stressful task of creating an actionable schedule. We encourage all of our customers to understand how they’re utilizing all communication opportunities available to them. If you want to learn more about how Shiftboard enables good communication, please get in touch with us. We are happy to share! Buhler, Patricia M., and Joel D. Worden. 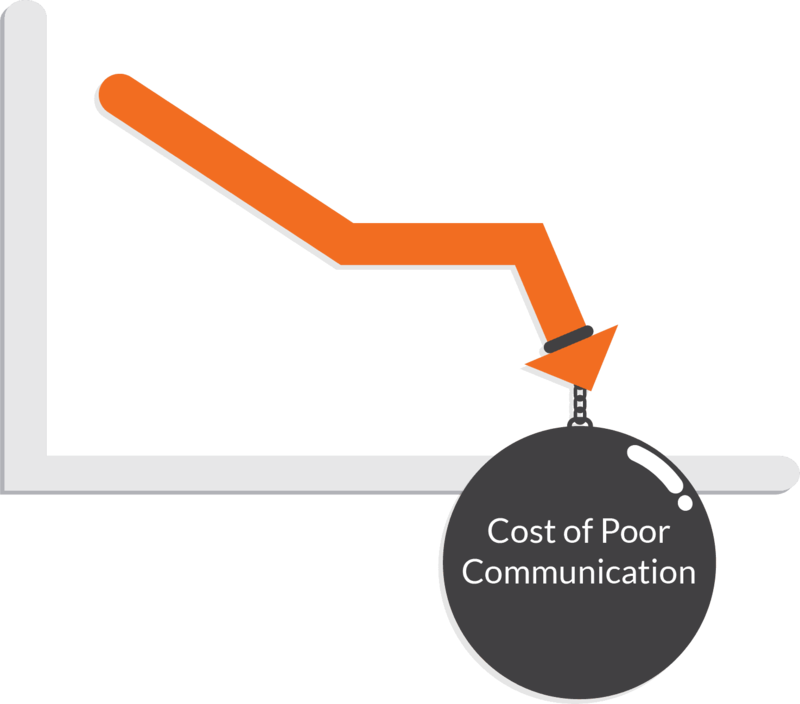 “The Cost of Poor Communications.” SHRM. May 19, 2017. Accessed September 19, 2017. https://www.shrm.org/resourcesandtools/hr-topics/behavioral-competencies/communication/pages/the-cost-of-poor-communications.aspx. “2013 – 2014 Change and Communication ROI Study (CCROI).” Willis Towers Watson. Accessed September 19, 2017. https://www.towerswatson.com/en/Insights/IC-Types/Survey-Research-Results/2013/12/2013-2014-change-and-communication-roi-study. Gallup, Inc. “Employees Want a Lot More From Their Managers.” Gallup.com. April 08, 2015. Accessed September 19, 2017. http://www.gallup.com/businessjournal/182321/employees-lot-managers.aspx. Gallup, Inc. “U.S. Employee Engagement Reaches Three-Year High.” Gallup.com. March 09, 2015. Accessed September 19, 2017. http://www.gallup.com/poll/181895/employee-engagement-reaches-three-year-high.aspx. “The Cost Of Poor Communications.” The Holmes Report. April 29, 2016. Accessed September 19, 2017. https://www.holmesreport.com/latest/article/the-cost-of-poor-communications. “Managing Employee Risk Requires a Culture of Compliance.” Gallup.com. March 29, 2016. Accessed September 19, 2017. http://www.gallup.com/businessjournal/190352/managing-employee-risk-requires-culture-compliance.aspx. RingCentral, Inc. Follow. 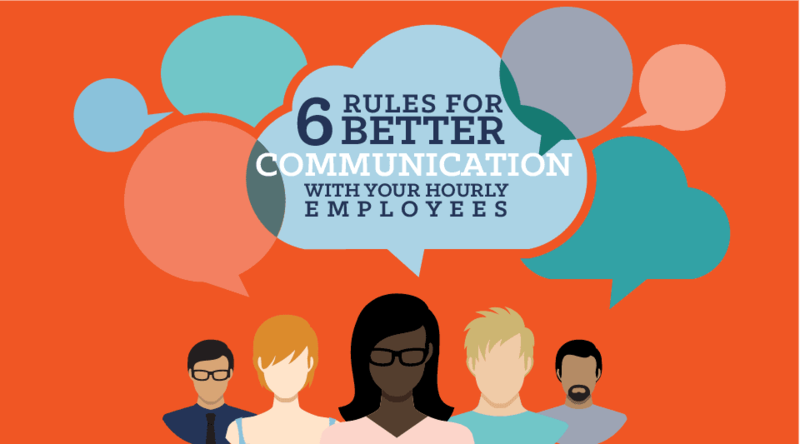 “Infographic: 4 Trends in Workplace Communication.” LinkedIn SlideShare.